It’s that time of year! Where you try to work off all those treats, you ate over the holiday. Where I swear, I’m going to hit the gym at least four times during the week from now on. But there is one thing that I do love about making New Year’s goals, and that is that I start drinking my smoothies again for breakfast. 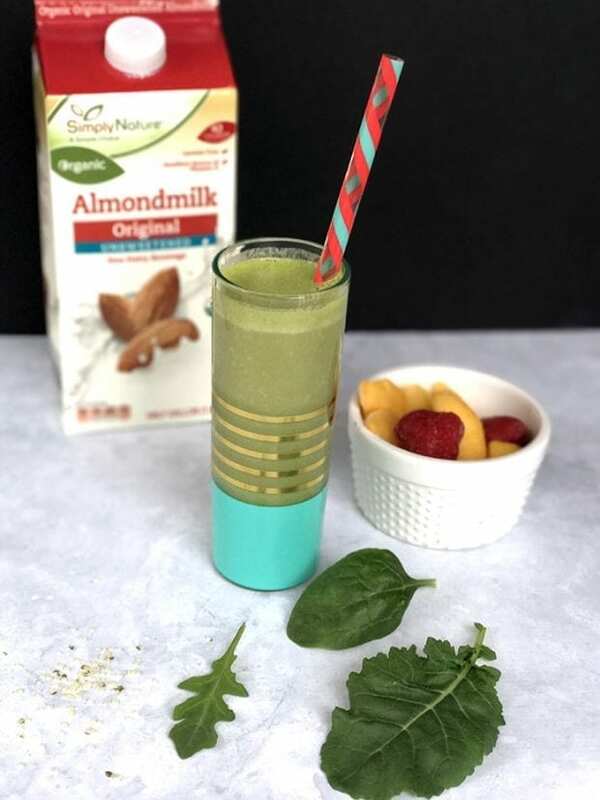 I’ve partnered with ALDI to share how I’m saving money on my smoothie supplies. I have a handful of things that I like to add to my smoothies. 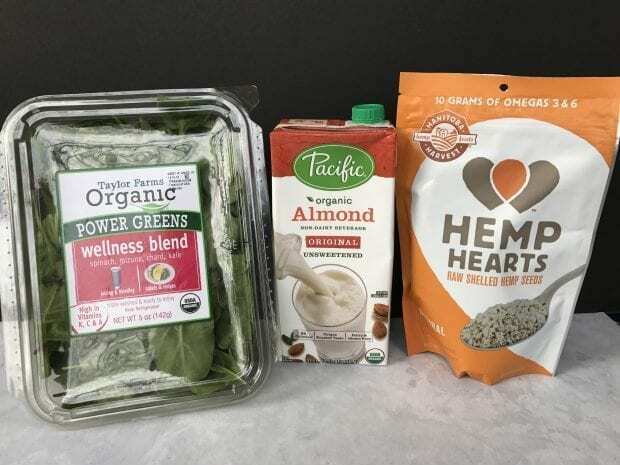 Hemp seed hearts – Hemp hearts typically contain 33 percent protein, 9 percent omega-3 essential fatty acids, and are an excellent source of iron, vitamin E and GLA (gamma-linolenic acid), an Omega-6 fatty acid. Chia Seeds – Chia seeds provide fiber as well as calcium, phosphorus, magnesium, manganese, copper, iron, molybdenum, niacin, and zinc. Flax Seed – Flax contains Omega-3 essential fatty acids, lignans, and fiber. 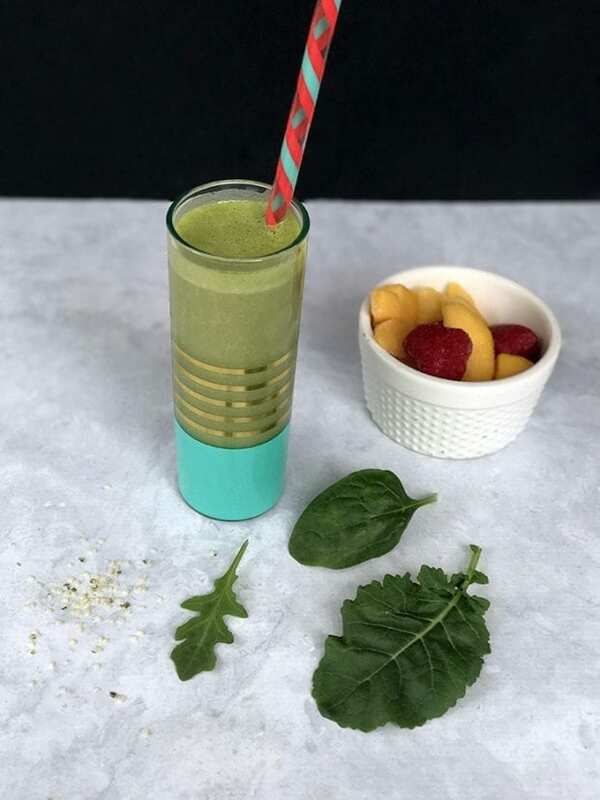 Power greens – Anything that has kale or spinach in it makes a great iron-rich smoothie. If you’re only using the greens for smoothies, I suggest freezing them to make the drink colder and having the greens last longer. Frozen fruit – It acts as an ice cube and takes away the need for sugar because it is naturally sweet. 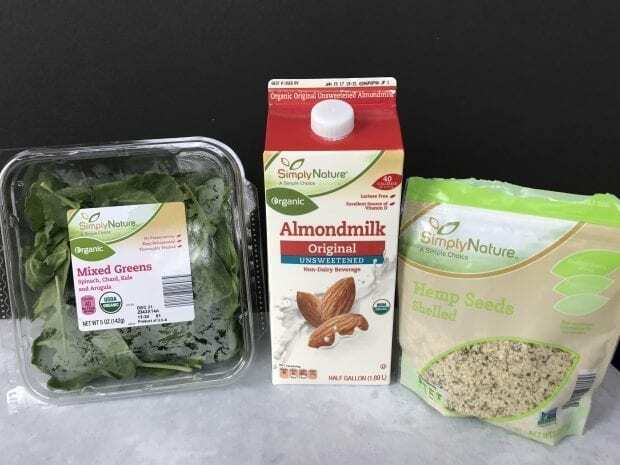 Almond or Coconut milk – I’m not a fan of dairy milk, so I reach for these others. With coconut milk, it also has a little more sweetness. Yogurt – Another great way to get protein and makes great smoothie bowls. I love that I can find all of it ALDI and in most cases, there is an organic version which makes me even happier. I don’t get lost in the store because there are only 4-5 aisles. 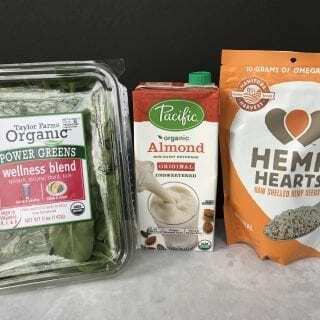 I was so happy when I went in to find the basic staples of my smoothie, but I found the great added nutrients like chia, hemp, and flax seeds. To help shoppers save money, ALDI stores are 90 percent ALDI exclusive brands – with a few national brands mixed in. Some of my favorite ALDI Brands that I use to help with my goals are Fit & Active which is designed to be better for you, livingGfree is the ALDI gluten-free line, SimplyNature (my personal favorite) made with honest ingredients and organic in some cases, and Never Any! the meat line with no antibiotics, hormones, and animal by-products. I popped in the other day to grab a few things and snagged some great stuff for my smoothies. I’ve included a price comparison so you can see the price difference between ALDI brands and the National brands. Eating organic foods is really important to me for my family, and it can be a strain on our wallet sometimes. ALDI is always my first stop when we need groceries because they have such a wide variety and they also stock locally grown produce as well. $21.45 for the name brands items! You don’t have to sacrifice your whole budget to eat better, which tends to be a major New Year’s resolution each year. Pop into an ALDI and try some of the great things they have to offer and the ease of shopping there as well. Don’t forget your quarter! You’ll need it to release a cart from the corral and when you return the cart it will give you your quarterback. Note: Layer your ingredients into the blender as they are listed above for best blending. Love ALDI’s, i shop there all the time,great food and great prices.